My favorite political cartoonist....always on point. Well, that brought the tears. I choked up when I saw this touching Luckovich tribute. So much said in one picture. 1. My favorite political cartoonist....always on point. Oh, Mike.....your cartoons are always so brilliant. 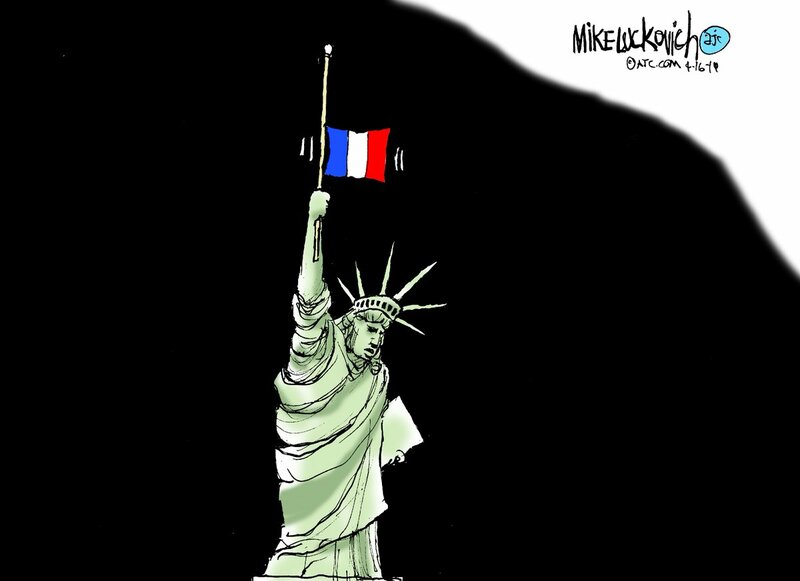 Our Lady was a gift from France.....what a lovely way to show our love--and our mourning--for the French people. And thank you, Gothmog, for sharing this so quickly. It means a lot to me. 6. Well, that brought the tears. I was kind of stoic about it earlier, but not now. 7. I choked up when I saw this touching Luckovich tribute. So much said in one picture.